Tachometer circuit board featuring an Atmel ATTiny861 microcontroller. 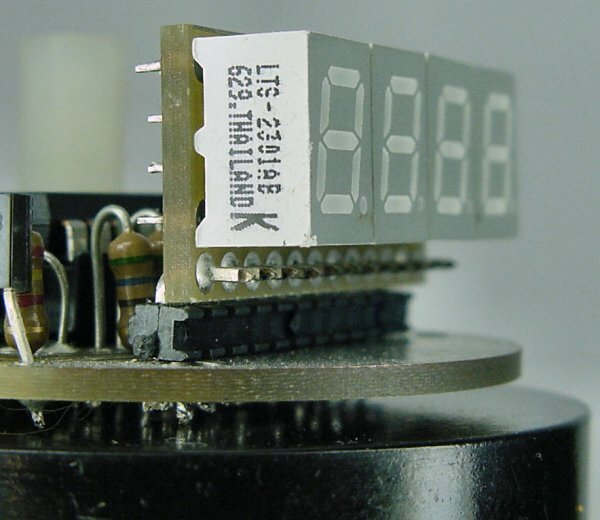 The entire tachometer circuit is contained on a single 1.8-inch diameter PCB, with a small display board connected perpendicularly. The main printed-circuit board was cut into a circle using a rotary table on the milling machine. The small size of the board pressed me for space. But, I decided against using surface-mount electronic components because I thought I might offer this board to other hobbyists as a kit. So, through-hole electronic components are used. 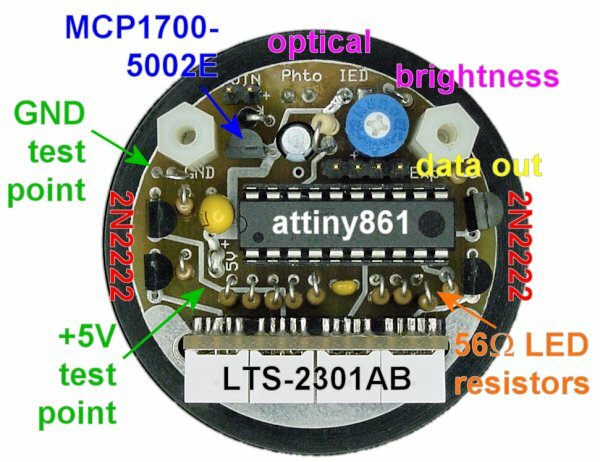 The microcontroller is an Atmel ATTiny861 available from DigiKey. It has 8 KB of program space and 512 bytes of memory. 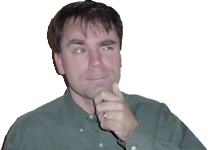 The tachometer program uses 7 KB of program space but less than 100 bytes of memory. I wrote the program in C using the ImageCraft ICCAVR compiler. Program space would have been smaller if I owned the professional version of the compiler with the optimizer. The microcontroller is running from its 8 MHz internal clock. This isn’t as accurate as using an external crystal. I know people are going to think I’m crazy to not use an accurate clock on a timing device! But, I ran out of room on the board and I ran out of microcontroller pins. In the end, I was pleasantly surprised to find the internal clock was accurate within plus/minus 1.25%. I suppose this is because it is factory tuned, and the voltage and temperature don’t vary much during usage. A data out port that transmits the RPM in the same format as a caliper, so it can be used with standard DRO (digital read out) systems. Loops of wire to provide secure GND and +5V test points. (4) 2N2222 NPN bipolar transistors for supplying power to each LED digit. 56-ohm resistors to limit current to each LED segment to a maximum of 20 mA. However, since only one digit is actually lit at one time (called multiplexing), the average current is only 5 mA. The display refresh rate is 75 Hz. Side view of the milling-machine digital tachometer showing washers to hold the board flat and right-angle headers to connect the numeric LED display board. 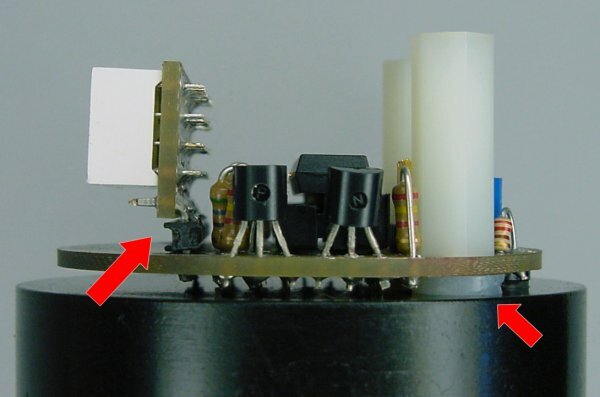 Because this board uses through-hole components, the ends of the soldered leads stick out the bottom of the printed circuit board. Two flat nylon washers raise the board up so that the leads don’t make contact with the top surface. Otherwise, when tightened, the uneven leads would cause the board and LED display to sit askew (technically termed "it’s all caddywampus”). Lite-On blue numeric LEDs soldered to a daughterboard that connects to the motherboard using a strip of right-angle headers.